Where to start on a VA clain: Do you have a presumptive condtion? Most people start veteran claims by filing online or through a service organization like the DAV, VFW or AMVETs. Thai means providing medical evidence form doctors, preferably the board certified variety. However, many Veteran Service Officers (VSO) aren't familiar with VA directives, although they are well-versed with the Veteran Affairs Disability system. This is the case because many states do not require VSOs to have legal training. VSOs are often not familiar with VA legal directives found in 38 CFR 3.3nn. 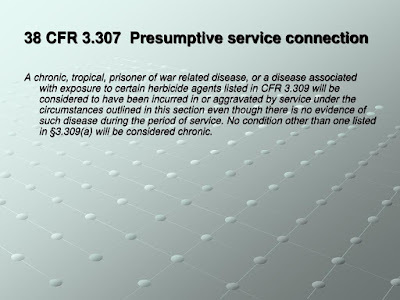 You should also read 38 CFR 3.309: Disease subject to presumptive service connection. These are the original presumptive conditions in the 1947 law. 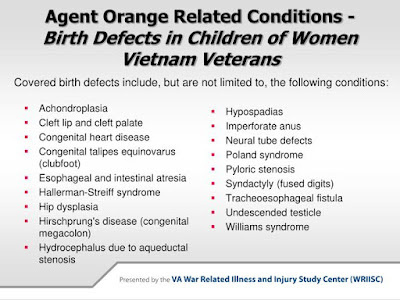 Theese are diseases and NOT injuries. 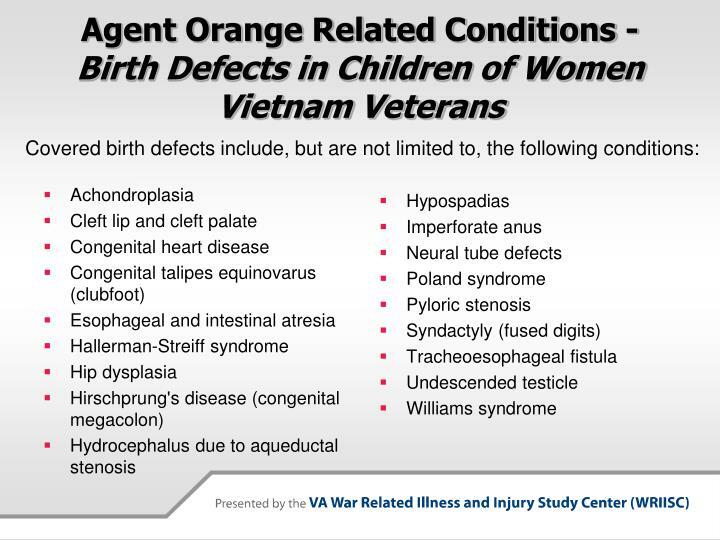 There are separate presumptive condition lists for tropical diseases, prisoners of war, and Agent Orange exposure: etc. The law has been revised after wars and there is even a section on the water poisoning at Camp LeJeune. If you have a presumptive condition, your claim will get expedited treatment by the VA regional office. You do not want to find out, after the fact, your claim was a presumptive condition after several years. 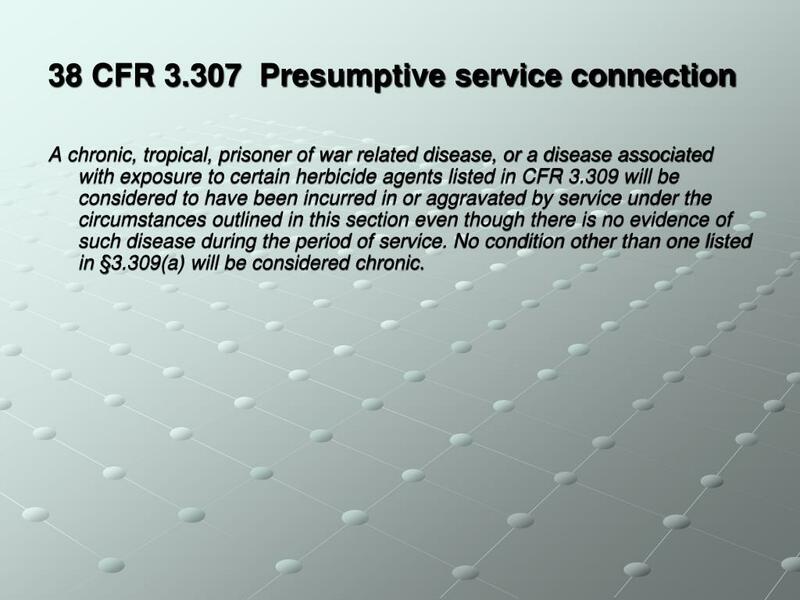 So, before you file a claim, check 38 CFR. 3.309 to see if you have a presumptive disease. Injuries do not pertain to this directive.